We love napkins. 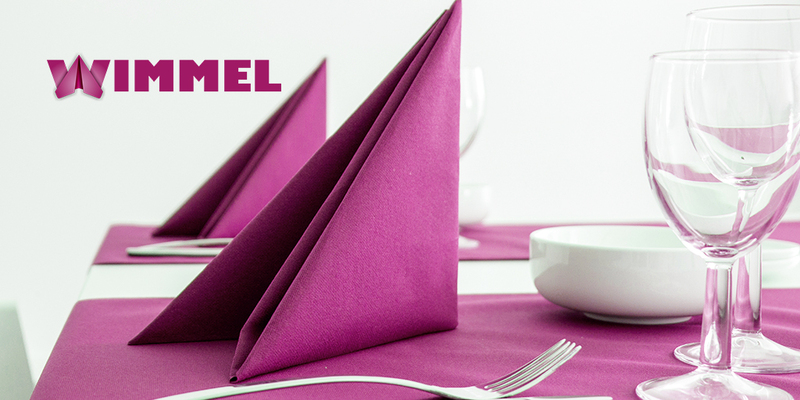 Napkins Wimmel was founded May 2005. In our shop you can not only buy paper napkins. Our offer also includes printed handkerchiefs and glossy paper for handicrafts. Our selection is supplemented by many articles for table decoration. New in the assortment are bamboo cups for on the go. We offer napkins in many colours and with different motifs. Also the sizes are different. We have small bistro napkins and large dinner napkins. For quality, you can choose between tissue (3-ply) and high-quality Airlaid. We also have a large selection of different manufacturers such as IHR, Ambiente, Paper+Design and Mank. You can use the napkins not only as table decoration. Fold your napkin or use the paper napkin for crafting napkin technology or decoupage. Discover our extensive and partly exclusive assortment. We have the right napkin for every occasion. We have especially great designs for weddings, birthdays and holidays such as Easter or Christmas. In our Shop you can buy your napkins favorably. We ship your orders with DHL all over the world. If you urgently need it, we are happy to ship worldwide with DHL-Express. For dealers, gastronomy and companies we offer special conditions in our wholesale shop. Napkins & motive napkins: Here you find our napkins sorted by motives, size (25x25cm, 33x33cm, 40x40cm), events, seasons. Products by manufactors and brands: Are you looking for specific companies/brands in our shop? Here you will find what you are looking for. Table decoration: Porcelain, articles of glass, candles, trays and much more for the beautification of your table you find here. Gastronomy: Our gastronomy offer offers napkins, table runners, placemats, tablecloths and refill cups by Pack Service and Mank. You're looking for a bargain? Have a look at our special offer page. You can buy our offered items from everywhere. Our logistic center in Germany (see picture) delivers all over the world. Our shipping costs are very cheap, so buying from abroad is not a handicap. If you like calculate your shipping costs before you start shopping. Our stock is changing all the time. If you're looking for new motifs for your handicrafts, you will be satisfied here. Daily our staff refreshes the new napkins and craft supplies list.